Three years after starting Landlord Web Solutions, Jason Leonard, David Koski and Michael Mottola set their sights on tackling the problem of syndication for the rental housing industry. "Syndication was a long talked about concept in the industry but no one was ever able to bring a solution to the Canadian market," says Leonard, adding that our neighbours to the south were leading the way in listing syndication. Without syndication, property managers advertised their portfolios in bulk on internet listing sites at discounted prices. Despite the low costs, this process was time consuming and often led to disappointing returns on investment for the majority of portfolios. The LWS team created RentSync to deal with this challenge. The RentSync product directs properties onto listing sites that generate the most leads for each property. Rather than treating their portfolio as a single item for distribution, property managers can now micromanage the placement of each property on the LWS partner sites through RentSync. By extension, RentSync eliminated the need for landlords and property managers to retain staff just to manage their listings. For the first time, RentSync gave property managers the ability to update their listings only once, from a single source, and have the changes automatically sync with their selected sites. Users of the product gain efficiencies and the assurance that their updates are posted as they wish. Since launching the service, thousands of apartment buildings have been added to the LWS platform to gain easy access to industry leading websites such as Padmapper, Rentboard and Kijiji. And as more landlords turned to syndication, the opportunity to create a data market took shape. As early as 1990, data mining was introduced to the economic repertoire and, in the following years, retailers were beginning to access, collect and analyze unprecedented amounts of user data to improve their marketing and sales efforts. By 2010, Google's chief economist had identified data scientist as the sexiest career of the upcoming decade. But major players in the Canadian rental housing industry still lacked the data needed to make smarter and more targeted marketing decisions. "When it came to advertising, many clients just took a shotgun approach, which most of us realize leads to significant waste in ad spends," says Leonard. To solve this, Insights was introduced to The LIFT System's roster. "Insights is really about transparency," says Leonard. Landlords and property managers were posting ads but could not figure out easily which ads were producing results and which ones were not. LWS saw this serious gap as an opportunity to introduce a product to solve this problem. "Insights ultimately standardized results reporting and gave landlords a tool to accurately determine where best to spend their advertising budget," says Leonard. "It was certainly interesting to watch the landscape change as a result. The cream truly rose to the top. As it should!" At the same time, LWS was focusing their attention on making better websites. 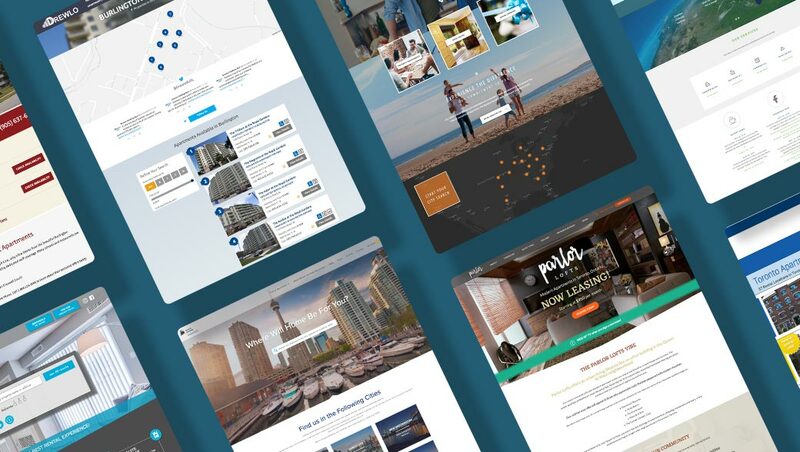 Having largely missed out on the early trends of website design and development, the rental housing industry jumped in at a time when the web was itself being revolutionized, with multimedia integrations and interactive content finding their home in this versatile medium. Web design aesthetics experienced a renaissance of their own, while function, user experience and search engine optimization rose to the forefront of designers' and developers' concerns. Staying true to form, websites designed and developed by LWS continue to address the specific needs of property managers. And as these needs evolved, so did LWS's websites. Building fully customized websites for Canada's biggest rental industry names helped set the foundations for LWS products. But bringing the cost of professional grade websites down into a price range that the rest of the market could buy into quickly became a priority. As LWS adds to their portfolio of custom websites, they're also expanding their portfolio of express websites that help smaller companies show off their portfolios without sacrificing quality of design or the opportunity to use LIFT's features. Their express websites help accommodate smaller budgets while maximizing brand exposure. Koski believes that their flexibility and customizations set LWS's websites apart from others in the industry, while the integrations backed by The LIFT System make LWS an easy choice for property managers looking to build or solidify their web presences. LWS is also committed to introducing new services and functions that are wanted or needed for websites in the rental housing industry. Their Neighbourhood Explorer map, released in 2017, replaced the need for third-party map integrations like Walk Score while expanding the reach of brand elements throughout clients' websites. "We see the market through 300 different lenses," says Koski. "We're learning as we go and we're developing as we go, but we're always focused on improving the efficiency and flexibility of the products for our clients. Our products do what they need to do for now, but we're always looking to do more." 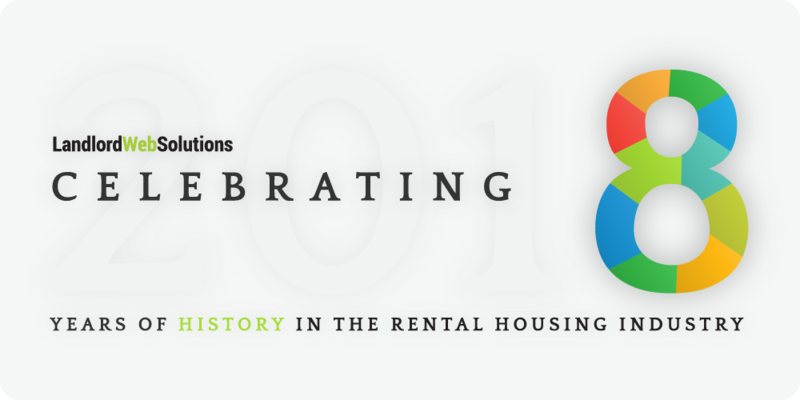 "More" came in one form for LWS in 2017 when the company branched into the massive American rental housing market for the first time. In the next post, LWS takes on the numbers with its benchmark billing and invoicing system, which aided in their expansion into international borders.